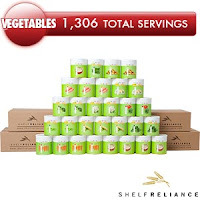 Shelf Reliance Leaders: Shelf Reliance Sale. Explanation and Customer Letter. Shelf Reliance Sale. Explanation and Customer Letter. Everything on the sale is a Costco match. So if a customer wants to purchase it they need to contact you. If they are a Q club member AND they are logged in they will be able to purchase the buckets online at the sale price. "Sally" is your customer, but she does not have a Q, she typically gets your emails and just shops through your consultant website. When she shops the prices that she sees, whether there is a sale or not, will be consultant website pricing. When we have a sale through Costco, the only possible way to get that price for your customers would be to have them call you because almost all Costco products are not available on the main website, only through your back office, hence, "Unadvertised Specials"
The sale that is on now is a little bit different though, and that is because the items that are on sale at Costco are the exact same items that we have at Shelf Reliance. Meaning they are not exclusive Costco packages, they are individual products instead, the buckets. This makes it so your Q customers can order online and get the current sale price on the buckets on their own, but they MUST log into their Shelf Reliance customer account. It is important for them to log into their account so the computer recognizes that they are Q customers and are eligible for the best price. The other products are are on sale would have to be purchased through you though, and that is because they are not advertised. Q customers can log into their customer account and place an order for the buckets (Wheat Flour Bucket - ID 24117, White Rice Bucket - ID 24119, Chicken TVP Bucket - 24559, Beef TVP Bucket - 24558) that are currently on sale, and they would still get the sale price. If they want to purchase any of the other current sale items (H20 Reserve 20 Pack - ID 25442, Water Filtration Bottle 12 Pack - ID 25416, Harvest 72" #10 - 11949, Ultimate Veggie Package - ID 25355) they would need to contact you and place the order over the phone. If you would like to make things easier on you and the customer I would recommend having them contact you for everything. Regular customers (non-Q-customers) must contact you to get of the above mentioned items for the sale price. If they do not, they will be unable to get the sale price on the buckets, and they wouldn't even be able to find the emergency and FRS items. Customer Letter: This is how I let my customers know about the sale. Please remember to change the contact info to your info. The email says that “I’ve attached photos", make sure you actually do attach the photos. One of the great rewards of being a Shelf Reliance Home Party customer is that you get invited to exclusive sales. Over the next two weeks Shelf Reliance is hosting a sale exclusively for Home Party Customers. Sale Dates: Today May 7 through Sunday May 20th. Please place your order early as the last sale sold out. Please allow extra time for shipping. Sale items are often slow to ship. Heather heather@teamshelfreliance.com or call Heather at 435-535-1470. This is one of my most favorite products! Shelving seldom goes on sale, this is the best price I have seen in a long time. If your food storage in in boxes on the floor it is time to get it organized. When I set up my Harvest 72 #10 I realized how much more food I could store on the shelf then stacked in boxes. Love it. 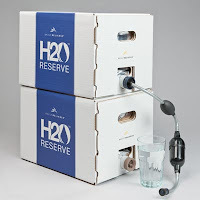 H20 Reserve 20 Pack - ID 25442. Description: The Shelf Reliance H2O Reserve is the perfect way to store your long term water supply. The heavy-duty Mylar bag holds five gallons of water and comes with a built-in easy pouring spout. The Mylar bag stores in the reserve box for convenient storage. I love to use these boxes to store water. 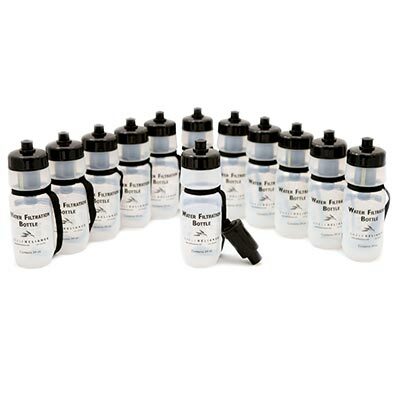 It is one of all-time best water storage products on the market. Ultimate Veggie Package Contents: All come in sealed number 10 (gallon sized) cans. I’ve attached some photos to this e-mail so you can see what the products look like. If you have any questions about these products I would be happy to answer them.